It’s no secret that regional stereotypes about people exist in America. While there is some element of truth to stereotypes of all groups of people, it is hard to really scientifically quantify that. It is difficult to determine if New Yorkers really much ruder than the rest of the country of if Californians are really more laid back and creative. Well the Journal of Personality and Social Psychology just released a study covering all that and more. The primary goal of the study was to determine exactly the amount of regional variation in personality types America has. Generally speaking the country was split among three different personality types: friendly and conventional, relaxed and creative, and temperamental and uninhibited and they released three maps showing the frequency of each personality type appearing in each state. The results are actually kind of what you would expect with few surprises. The state of New York scores very low in the frequency of friendly and conventional, while scoring extremely high in temperamental and uninhibited. The same is true of California which scores way higher in creative types than anything else along with much of the West. At last we finally have some peer reviewed scientific data that backs up what we suspected was true all along. Sit in traffic on either side of the Hudson River and you’ll understand us. Few people know this but the United States once had an emperor. Norton I, Emperor of the United States and Protector of Mexico reigned from his seat of power in San Francisco between 1859 and 1880. In reality he was an English businessman who moved to California seeking fortune only to lose all of his money and kind of went crazy as a result. After declaring himself Emperor and publicly demanding the American government submit to his rule he became a local celebrity in San Francisco and was treated like royalty by most of the city though no one with any real power would actually listen to him. His lasting legacy was his repeated decrees that a bridge be built across San Francisco Bay. About 50 years after he died completely penniless the Golden Gate Bridge was built and today there is even a political effort to rename the bridge after Norton. 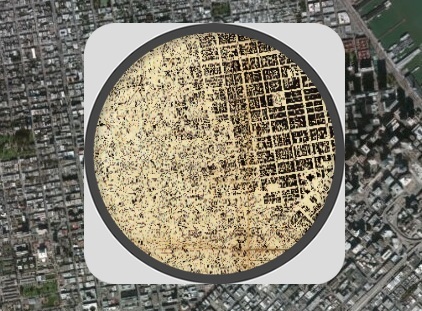 The Smithsonian has a great interactive map of San Francisco in 1859 when Norton began his reign compared to a satellite image of the city today. Back then it was the largest city in California but only about 56,000 people lived there which was tiny compared to the bigger cities back east. Most of what is now urban San Francisco was either wilderness or farmland back then. The other really shocking thing I found about that map was just how much people built over bodies of water. There was a creek that emptied out into a cove in the Bay back then but today that creek is underground and that cove is filled in completely. Looking back at these maps makes me marvel about just how quickly our cities got built up. Norton’s imperial capital then and now. The real-life Tony Stark has done it again. Elon Musk, whose successful ventures include Pay Pal, Tesla, and SpaceX, revealed a very detailed plan for an 800 mph public transit system between San Francisco and Los Angeles. At those speeds, the 380 mile trip would take about 30 minutes compared to a 2 hour flight and between a 6 and 8 hour drive depending on traffic. The estimated costs of such a system would be between $6 billion and $8 billion and be twice as fast as California’s $70 billion high speed rail project currently under construction. Unfortunately, these blueprints were only that, blueprints. There is no plan on the part of Musk or the state of California to actually turn this into a reality. Still, I love big ideas like this. If in 1995 someone said that 15 years later most of America would have a pocket-sized computer that is faster than the fastest supercomputer in 1995, he would be laughed out of the room. But now such an idea is reality. The same thing goes with the hyperloop. This ambitious plan is doing what was previously thought to be impossible and would improve most of our lives. Now all we have to do is do it. 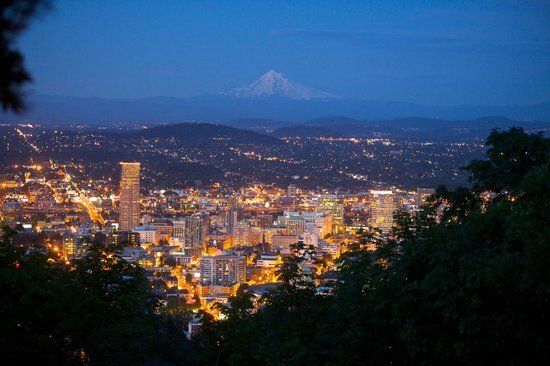 Seattle takes the top spot again. Death Valley National Park in California is the lowest and hottest place in the United States. It is in that desert that the hottest recorded temperature in our nation’s history, 134 degrees Fahrenheit, was taken about 100 years ago. During the summer temperatures regularly rise above 115 degrees making it hot enough to literally fry an egg with the sun. Recently one of the park’s rangers brought an egg and a frying pan out into the park did just that. Here’s the video of him doing it. With more than 800,000 hits this video went viral and it inspired a good deal of people to go to Death Valley to fry their own eggs. Only instead of using a pan like the ranger did, people were using the roads and sidewalks. Also instead of eating the eggs and throwing out the shells, many of these visitors were just leaving them on the ground. It has become a big enough problem that the park had to put up a notice telling visitors to clean up their egg-related messes. If you ever visit Death Valley feel free to use the sun to cook up some eggs, just do it in a pan or tinfoil and clean up after yourselves! The country’s second largest St. Patrick’s Day Parade will take place this weekend in South Boston. 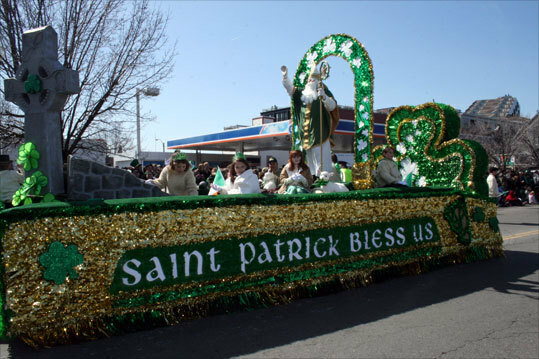 Viewed by over 600,000 people and broadcasted on live TV, the South Boston St. Patrick’s Day parade is sure to be a memorable day! The parade kicks off at 1pm on Sunday, March 17. It starts on West Broadway heading East and ends on Dorchester Avenue. You can view the parade route on a map located here. A list of participating restaurants and bars can also be found on the event’s official website. “May your thoughts be as glad as the shamrocks. May your heart be as light as a song. May each day bring you bright, happy hours. That stay with you all the year-long.” Have a fun, safe and happy St. Patrick’s Day!